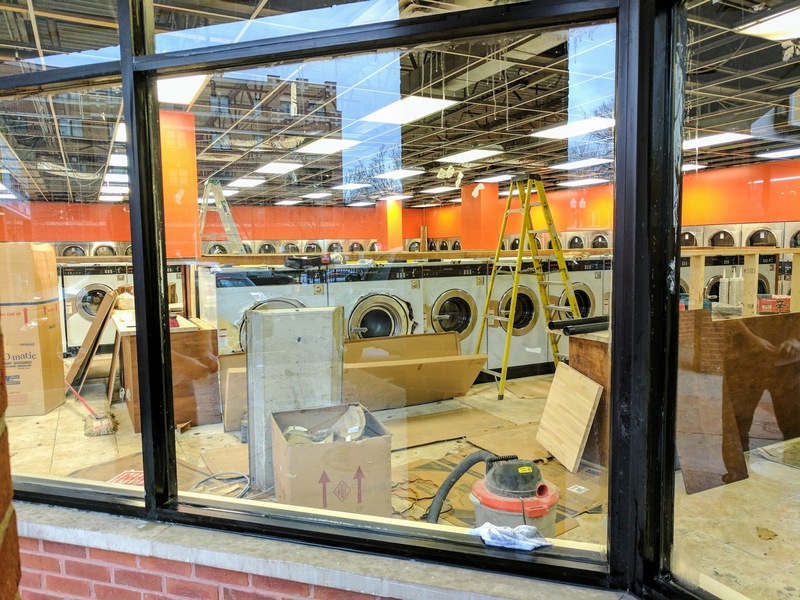 We shared the news this summer that according to building permits, to expect a laundromat in the corner space of the stripmall at Wilson & Magnolia. This space was most recently a small grocery store, and before that, vacant for many years. Butcher paper was up on the windows but it was easy to see that lots of work was taking place inside. Well, fast forward to today and the paper is down, and we are getting our first view inside. Although it isn't the most exciting retail, it will definitely be a welcome sight to see lots of new patrons utilizing this strip mall. 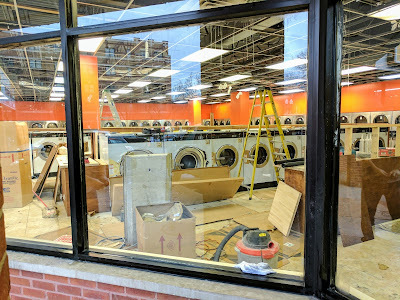 "Loads" of new high capacity washers and dryers fill the space and new lighting and ceiling tiles were going in. Might be a good place to take any large items that don't fit in your building's washer or dryer.